Communication is the foundation of every single relationship you have in your personal life; it's no different in business. Without effective communication, there can be misunderstandings, problems and conflicts among your staff, your clients and everyone else you come into contact. Poor communication can make effective delegation, increased productivity and an enjoyable work environment virtually impossible. Make communication a priority. Checking in with employees is essential. Meet with them regularly either in-person, inviting them to discuss their thoughts on their projects, tasks, and the organization as a whole. They want to be heard, and they want to share their thoughts and opinions. This will improve internal communication throughout your entire organization, as well as empower your employees and keep them comfortable in their positions. Simplify and stay on message. Use simple, straightforward language. The truth is that everybody cannot be on same page when it comes to vocabulary. Therefore, to be effective in your communications with your team members, use words that can be easily understood. When ambiguous words are used, you can be misunderstood and/or waste precious time having to explain yourself. Engage and encourage feedback. Don’t just talk and walk away. Draw your listeners and readers into the conversation. Ask questions and invite opinions. Solicit their feedback. It will also afford you the privilege of knowing if your message was well understood. Look for ways to clarify or rephrase what you are trying to say so it can be understood. Listen to your team members. Communication is intended to be a two way street. Don’t just talk because you are the leader without listening to anyone else. Encourage them to open up so you can be well guided when communicating in the future with them. You have two ears and one mouth –so you must listen more than you speak. Respect your team. Recognize your message is not just about you or what you want. You should sincerely care about the needs and the unique perspectives of those to whom you are communicating. One of the best ways to show your respect is simply by paying attention to what they say. Develop trust. Trust is the product of open and honest communications. 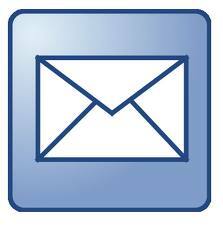 So it is important that good communication channels exist. Also, trust is an essential ingredient of teamwork. If trust exists among business associates, teamwork and cooperation are much easier to achieve. Inform and Inspire. Communication is a form of information exchange. Explaining and clarifying your thoughts and ideas is important in a leadership role. But passing on information to your team is only half of the equation. As a leader, it's vital to your business that your communication efforts inspire your team as much as they educate them. Plan ahead for meetings and conversations so you can effectively mix information and inspiration. When you communicate more effectively in the workplace, work gets done more efficiently. You foster a good environment where employees feel trusted and co-workers get along. 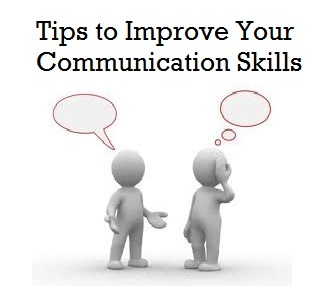 Eliminate miscommunication and boost your business by implementing these tips now.